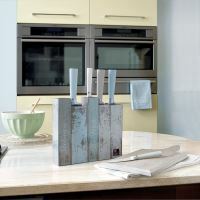 NEW: Fashion Blocks for a fashionable kitchen! Richardson Sheffield launches a new Fashion Block Collection! A fun, sassy and truly unique collection that only the most fashionable kitchens will be wearing this season. The Coast Fashion Block lets you escape to the shore with its relaxed coastal style. Five knives in soft undulating shapes bring together a natural palette from nature’s shoreline. The sleek oval block takes its cues from soft curves of architecture and the trend for mixed materials to create our pared back Fusion Fashion Block. 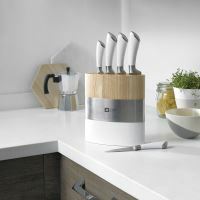 Gently arched knives in simple white and stainless steel complete this effortlessly contemporary look. 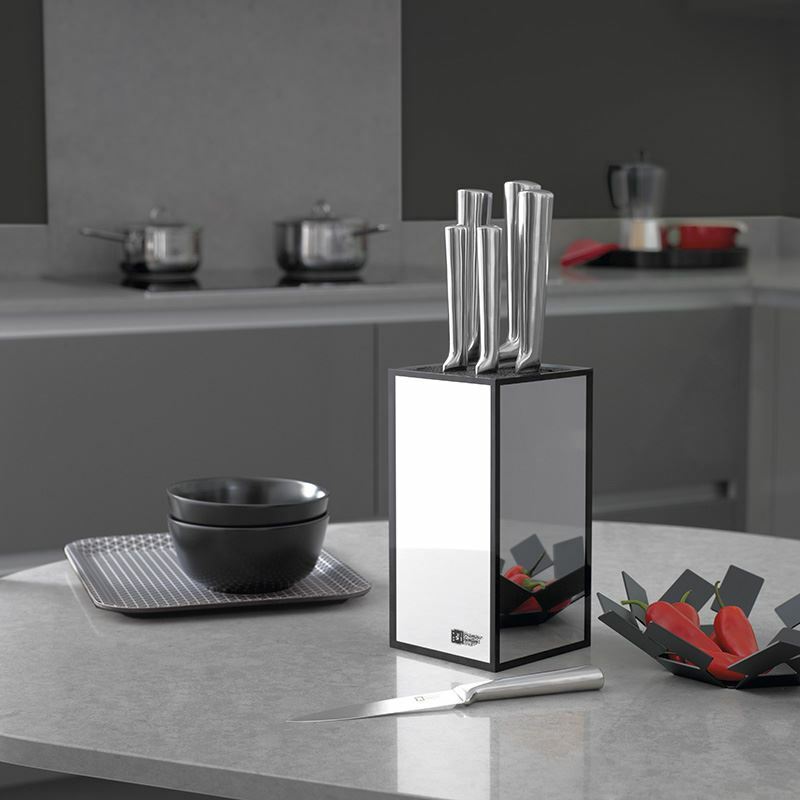 Reflect your own signature style with our exciting Visage Fashion Block in stunning mirrored glass and sleek tailored black. Not only will it give the illusion of more space and bounce light around the kitchen, it’ll also add instant glamour to your worktop. 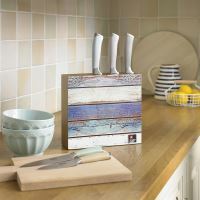 With layers of chalky paint and a handcrafted feel, this charming block is the perfect roost for our eclectic mix of soft coloured knives and creates a more laid-back feel in the kitchen. 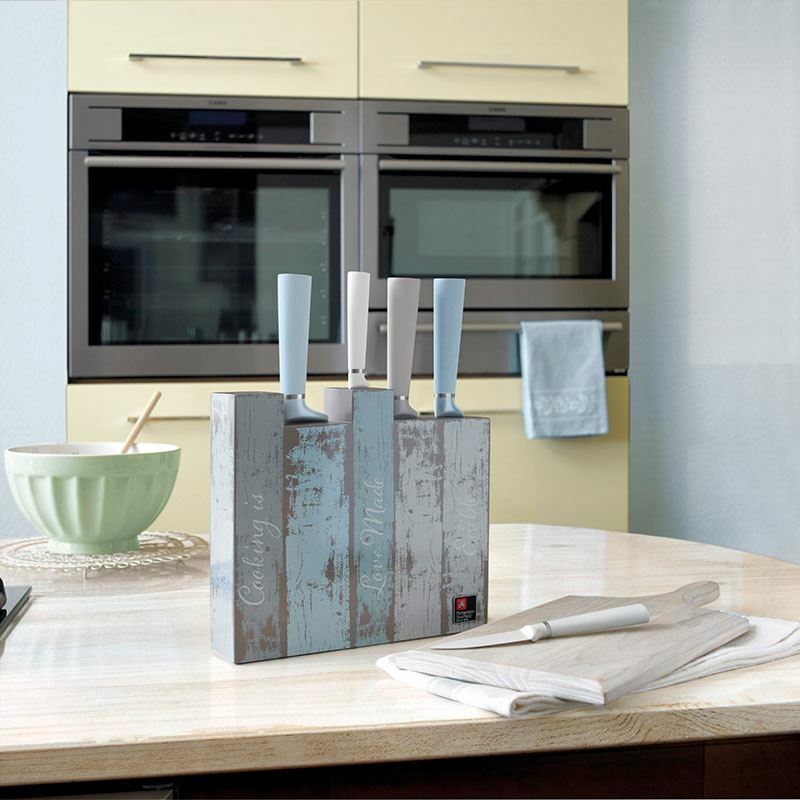 The knives in all Fashion Blocks are made of high quality martensitic stainless steel, are dishwasher safe and have 25 year of guarantee.